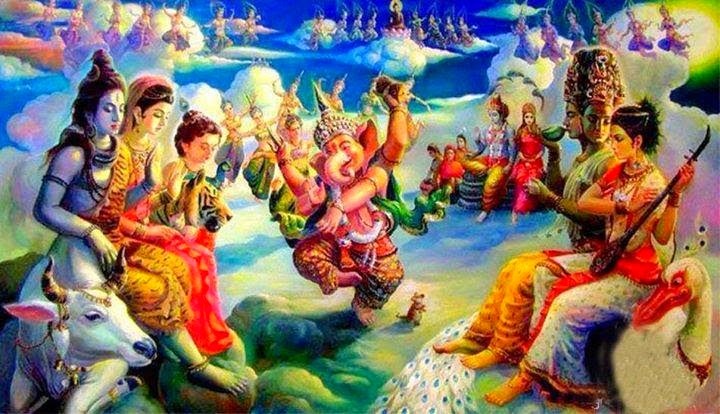 Hindu Gods and Goddesses have a particular Animal or Bird in which they travel. These travel vehicles are called Vahanas or Vehicles. They have the same purpose as today’s modern world vehicles suitable for traveling by air or land or water. These vehicles of God either animal and birds, representing the several spiritual and psychological forces that carry each deity. The gods use Vahanas for both warfare and travel. Most of the Vahanas of gods and goddess are worshipped by Hindus devotees with offerings of food and prayers. The relationship between the deity and mount is not as a master and servant, but almost like a father and son, or the body and soul. Here are some of the Deities and their Vahanas. 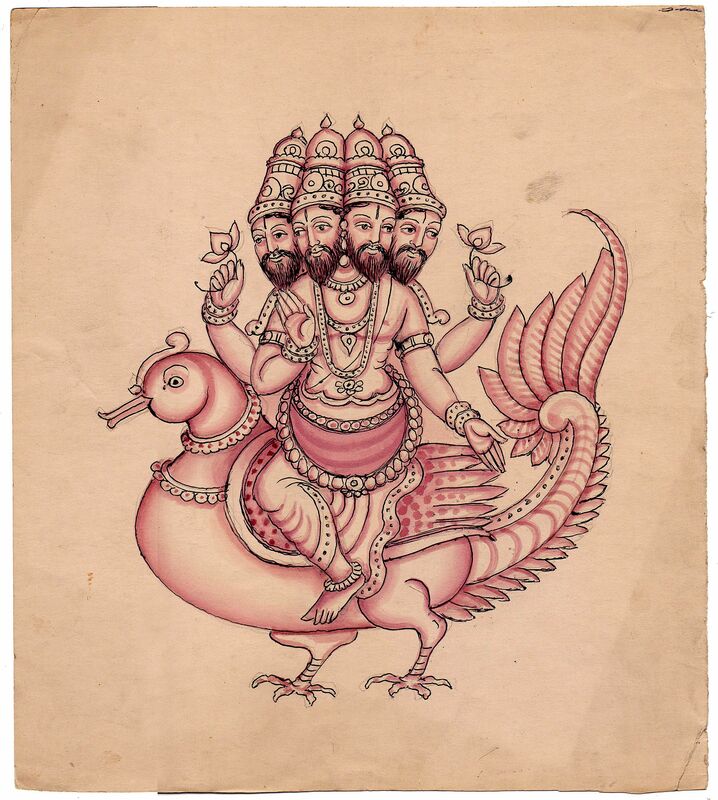 Lord Brahma has the vehicle Hamsa (Swan). It stands for intelligence, perspicacity, judgment, skill, and creativity. The word “Hamsa” is a combination of two words, “aham”+ “sa.” It means “I am he.” The bird hamsa is beautiful, peaceful and graceful. It indicates that Brahma is the creator and master of all the beauty and grace of the world. It is also mentioned in Vedas that the bird has the capacity to separate milk from water. This symbolically means that Brahma can help us to transform our intelligence and knowledge discriminate between the right from the wrong. Goddess Saraswati is the spouse of Brahma. She is also shown riding a Hamsa. 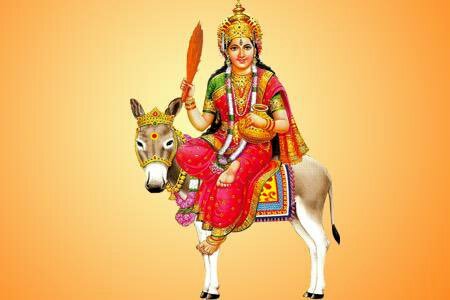 Sarsawati is the goddess of learning and education. The Hamsa is a gentle and beautiful bird which stands for its beauty, elegance, poise, and dancing skills. The storm god “Indra” carries thunderbolts as his weapons and is also a bringer of rains to the earth. Indra is an important god of Aryan warriors. His Vahana Airavata is a great white elephant is often depicts with four tusks. Lord Shiva is one of the prominent deities of Hinduism. He is the destroyer and restorer, a symbol of sensuality and wrathful avenger. His mount Nandi stands for sexual energy – kama and fertility. Riding on its back, Shiva has the power to control all impulses. Goddess Durga is the unconquerable form of Devi. She is the supreme god and also identified with Parvati, who is also referred as the mother of Kartikey and Ganesha. Durga endowed as a warrior woman riding lion or tiger with multiple hands carrying weapons, mudras or symbolic hand gestures. Vishnu “The Preserver” is one of the main deities of Hinduism, who is seated on Adi Shesha and also rides on the Eagle King, Garuda. According to Hindu mythology Adi Shesh or Shesha Naga holds all planets and earths on his hoods. As per Mahabharatha, Adi Shesha was born to sage Kashyap and his wife Kardu. Mata Lakshmi is the goddess of success, fortune, prosperity and wealth. Interestingly, she has the Vahan Owl called Ulka, as her Vehicle. Her Vahan – Ulka is a symbol of the patience and intelligence. Lord Ganesha was known as the remover of obstacles. The chubby, gentle, elephant-headed Ganesha is one of the popular deities of Hinduism. Interestingly, he is using a Mouse as his mount. One cannot imagine an elephant can ride in a small rat. However, there are many deep symbolism hidden in the fact. Lord Ganesha was very fond of mouse and the mouse is his vahana. Lord Ganesh was very intelligent and he could find ways out of any trouble. This is exactly why a mouse was his vahana as mouse also has the ability to swiftly get out of trouble. 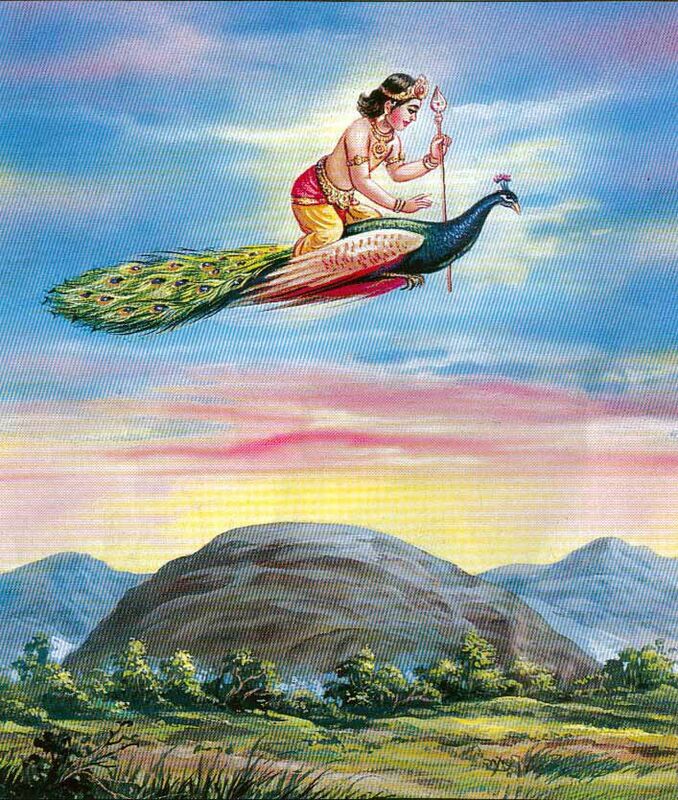 Lord Kartikeya also was known as Murugan, Subramaniam, Sanmukha or Skanda. He is the second son of Lord Shiva and goddess Parvati. He is also known as the the war of god. Kartikey is popular deity in the southern part of India. He is embowded of perfection, a brave leader of God forces, was born to destroy the demons. He has the Vahan Owl. The god of fire, Agni is one of the main deities of Hinduism. It presented in every fire that is lit. God Agni is always seen riding the Ram. Agni is shown as riding the Ram and rarely, a chariot pulled by goats. Some versions also talk about Agni riding a chariot pulled by horses. The Ram signifies power, strength and vitality. The vibrancy of Agni is also reflected in the vehicle he chose for himself, the Ram. In Hinduism, the Surya Devata, gives light to the world. He is father of Kasyapa and her wife is Chhaya Devi. The god sun represents the wilpower, health, fame and vitality. The sun also known as Ravi, Pusha, Aditya or Grahapati. 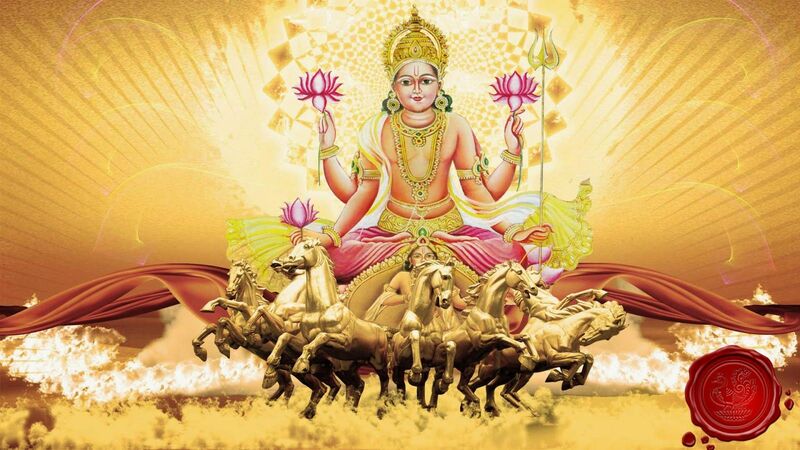 The god sun rides seven horses which represented the seven chakras or spiritual centres in our subtle body. In Hinduism, Yama is known as the God of Death. One with red eyes, a club and a noose in his hands, he rides the Buffalo as his Vahana. If we go through Visnu Puran, Yama is the son of sun god Surya, and Sandhya (Daughter of Vishwakarma). Goddess Ganga is worshipped across the country. She flows in the form of Ganga River giving life to millions of Indians. She is considered the mother of all and the most sacred river. She can remove all sins of the person who takes a dip in her holy waters. The Vahana of goddess Ganga is a Makara which is a Crocodile. Shani refers to planet Saturn, and is one of the 9 heavenly objects as Navagraha in Hindu mythology. He is one of the most worshipped deities in the Purans and looks like black figure carrying a sword on his right hand and sitting on Vulture, Crow, or Raven. He is consisdered as the god of bad luck and also popularly called Ara, Kona, Kroda. Shitla is worshipped by their devotee for the hope of that she will amended the disease like chicken pox, measles, and sores. The god Shitla rides in the donkey. Also, known as the Monkey God, Lord Hanuman is one of the most worshipped gods in Hinduism. Hanuman helped Lord Rama defeat the Asura- King Ravana. It is believed that Lord Hanuman did not need a Vahana because he could fly himself and go anywhere.